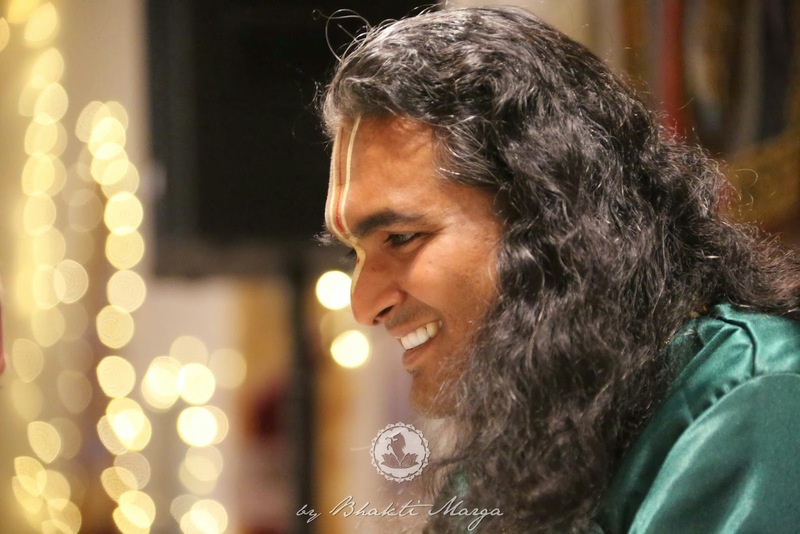 Each Darshan of Sri Swami Vishwananda is unique to each one individually and also to all collectively. 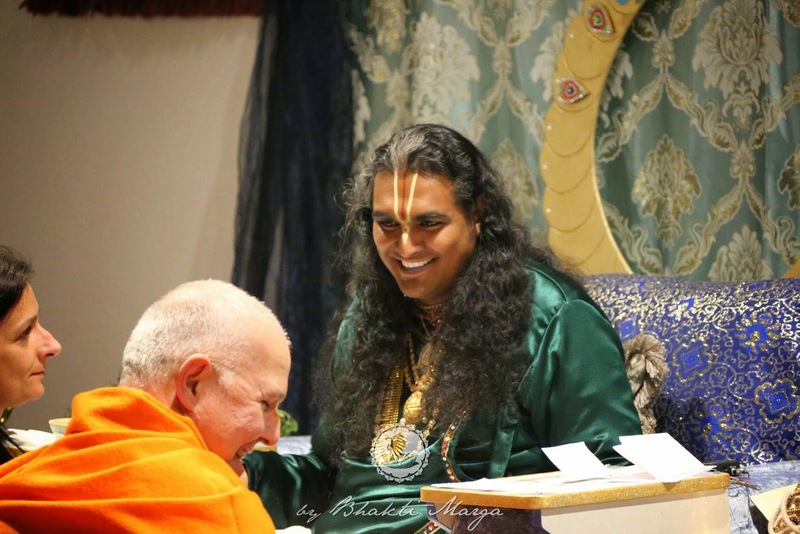 On this particular Darshan, everybody could noticed that Swamiji's eyes were shining immensely and He was radiating an extraordinarily sweetness. “Jai Gurudev! 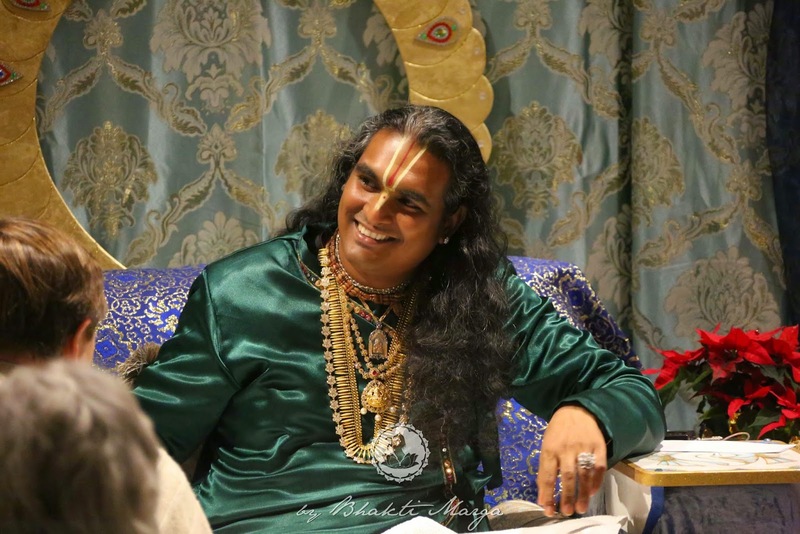 During the discourse that Guruji (Sri Swami Vishwananda) gave on the Bhagavad Gita, He said that the battle (Mahabharat) that occurred in the field of Kurukshetra is a reflection of the inner battle that occurs in all of us. And that is the battle between the lower material tendencies – the way our senses go and grab the world and we become so attached through lust, avarice; and then on the other side there's a part of us that wants something higher, that wants something that's pure. And really what we are looking for, is that Divinity within ourselves and also outside of ourselves, to attain the Feet of the Lord. And Bhagavan Krishna in the form of the Guru, He explains to Arjuna that there are three ways to – three main strategies, let's say, in this battle inside. There's Karma yoga, there's Gyaan yoga and there's Bhakti yoga. Karma yoga is the path of selfless action. Gyaan yoga is the philosophical attainment of the Lord. And then there's Bhakti, which is the devotional service to the Lord. And that is what we are here for. It wasn't always that way for me. 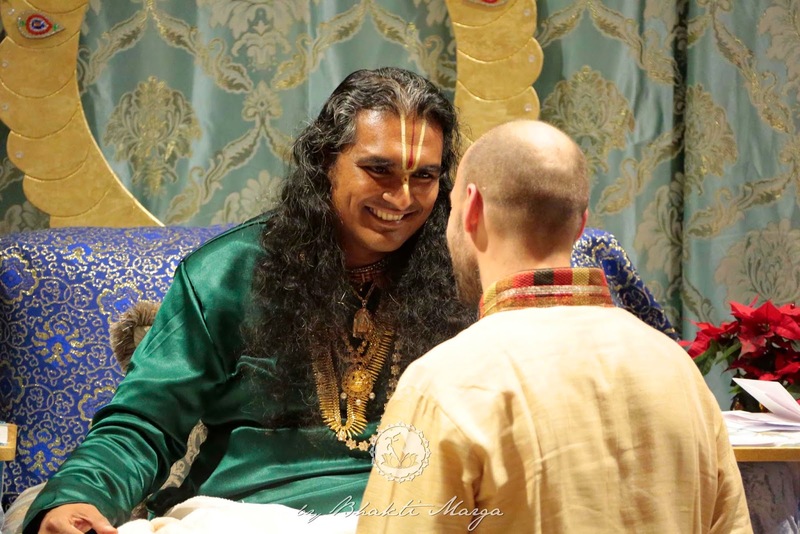 So, this is the reason why the Satguru is so important, for the strength of an organisation like Bhakti Marga. Without Him we lose that inner battle between the lower material tendencies and the highest spiritual tendencies; because the Guru isn't there or the connection to the Guru isn't there to give you that nudge, sometimes a kick to push you away from what is so easy to fall into, the traps which are so easy to fall into. And we all do it. I do it so much; judgement, ego - but with the Guru there and with some surrender you can turn and face towards the Divinity. 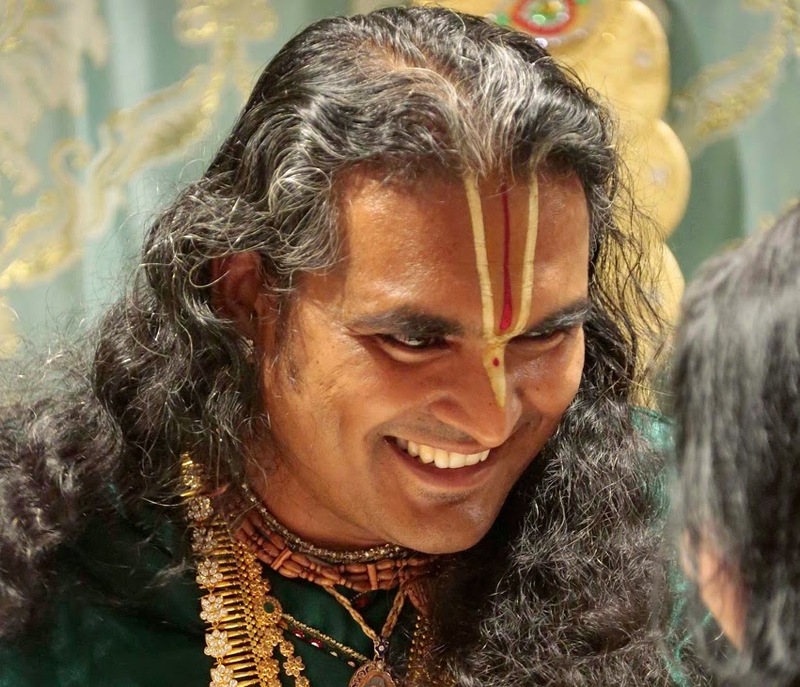 I used to always wonder about the conversations I had with Swamiji, because they were so innocuous – we were talking about nothing in a way – you know, no great statements, ‘You should do this, this and this!’ – just ordinary conversation. But, He plants these little seeds and those little seeds grow. Or He might press a button... and because of His mastery, because He has this cosmic view which is beyond the dimensions we see and beyond time, He knows that He can just push one little domino here and so many will fall. And then in the end the result is actually a very big change. 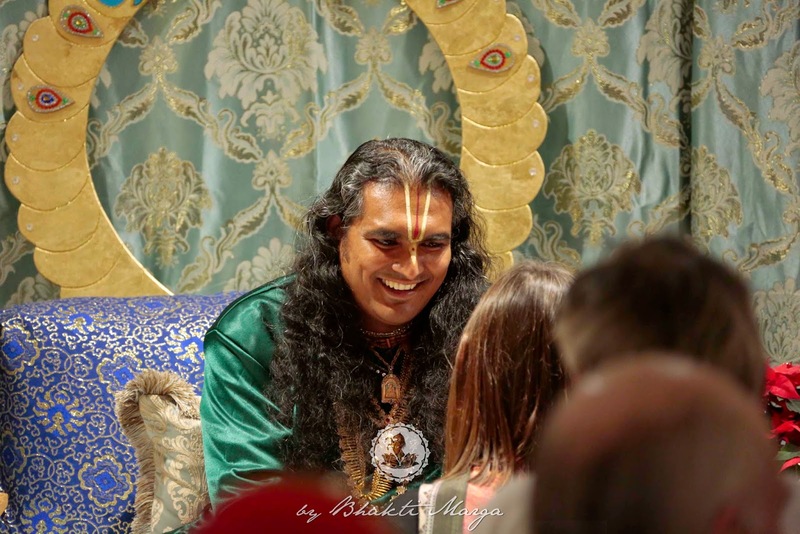 That's what makes the Bhakti Marga great, because we have a living Master who keeps us on the right path, who through these little nudges throughout our lives keeps us focused on God. - Gerald (Shyam), London, UK. 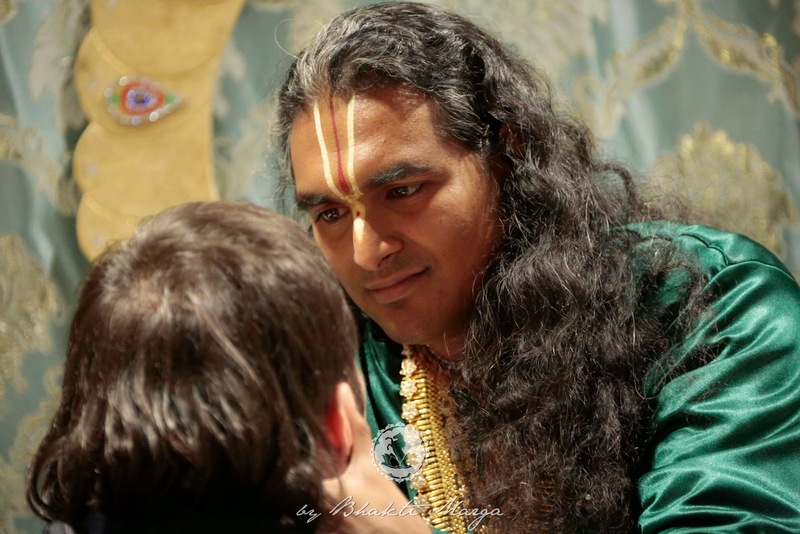 My name is Rolf and I would like to tell you a story of how Kriya Yoga found me and also how Sri Swami Vishwananda called me afterwards. At the end of the last Millennium, I worked intensely with Reiki and this almost forced me to read Yogananda's book which was in a book shelf of my mother. When I started to read this book, I was very fascinated and felt a strong pull towards Kriya Yoga. So, I don't know exactly how it was, but ‘by accident’, like things happen in life, somehow a Kriya Yoga event caught my attention. I was initiated and practised Kriya Yoga for maybe three years. Then, one of my friends told me about Swamiji. At that time, I was not sure who was my Guru, but when I met Swamiji, it was very clear to me, because tears were flowing from my eyes. So, I recognised Swamiji as my Guru. And it is like that: we don't find the Guru, but the Guru calls us and for sure Swamiji had called me already earlier to Kriya Yoga before I knew about Him. So, I was very happy to have met my Guru and later on He initiated me in Atma Kriya Yoga. This was the most important meeting in my life - the meeting with my Gurudev. And if there are some times of darkness, which happens in every life, when I practice Atma Kriya Yoga and think of Swamiji everything becomes much brighter again. I thank you my beloved Guruji from the bottom of my heart. And I thank you all for listening to me. 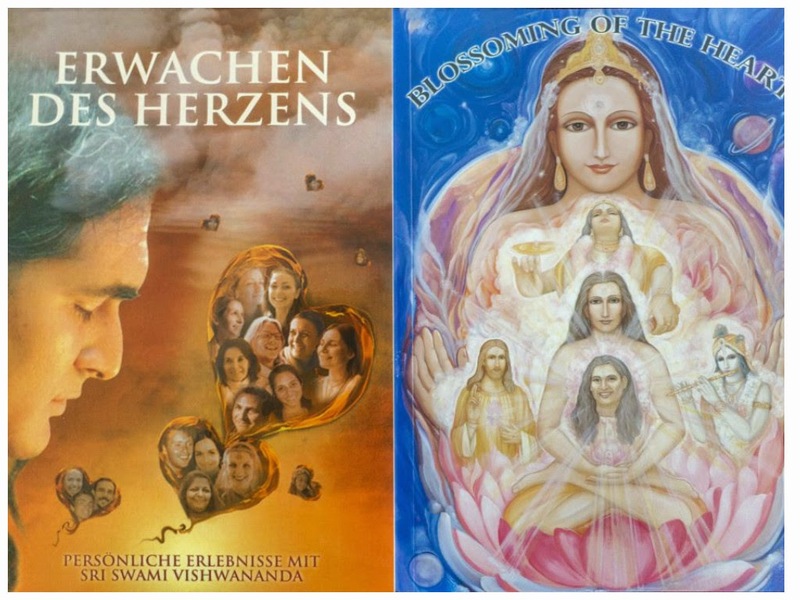 In the book Blossoming of the Heart, which is available in the Bhakti Marga shop, relatives, friends, devotees and disciples from different countries and different cultural backgrounds share their very personal experiences with Sri Swami Vishwananda. The original English version (right) is already translated in German (left), Polish and Portuguese.